Arrival in Yerevan, the capital city of Armenia. You will be met by our representatives at the airport and transfer to your hotel. Yerevan is one of the oldest continuously inhabited cities in the world! Our Armenia tour begins in Yerevan, founded in 782 BC and a treasure trove of both the ancient and the modern. During the tour we will visit the State History Museum of Armenia with its permanent exhibits displaying Armenia's historical past. We'll see the Matenadaran - a repository of 7000 pieces of ancient manuscripts including many hand-written bibles and scriptures. At the Yerevan Brandy Company, earn about Armenia's rich tradition of brandy-making. We finish our sightseeing tour at the wool carpet factory. Welcome dinner. Sightseeing drive to Etchmiadzin – the spiritual center of Armenia and the seat of the Armenian Patriarch. Explore the UNESCO heritage sites; the 7th c. Church of St. Hripsime and Zvartnots Cathedral, the Mother Cathedral of Holy Etchmiadzin (303 AD) and the Geghard Monastery. Visit the ancient Fortress of Garni from the 3rd century BC. This evening will include learning to make Armenian lavash bread! As one of the important stops along the Great Silk Road to Europe many of Armenia's ancient sites and caravansarai have been preserved. Today's tour includes two historically important monasteries: Khor Viap, on the Ararat Plain, and Noravank (4-14th centuries) perched atop a steep gorge. The caravansarai of Selim, also known as Orbelian's Caravansarai is located high on a picturesque mountain pass. In the medieval cemetery of Noratus we'll see beautifully carved khachkar stone crosses. Khachkars are one of the most characteristic symbols of the Armenian religious identity. Overnight at a hotel near the lakeshore. On the way to the Georgian border we visit the Monastery of Haghpat nestled on a promontory in the Lori region. It is an internationally recognized gem of Byzantine architecture and a thriving intellectual center in the 11-13th centuries. After crossing the border to Georgia, we will drive to Tbilisi and our hotel to start our Tbilisi sightseeing tour. 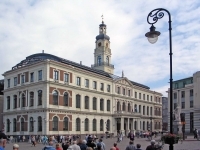 Explore the beauty and history of the city with an intimate walking tour of its narrow streets, picturesque 19th century houses with their wooden multi-colored balconies and the historic churches, mosques and synagogues which dot the city. We'll visit the natural sulfur baths of Tbilisi heralded by Pushkin, Lermontov, and Dumas. Enjoy a panoramic view of the old city from a cable car ride up Narikala Hill and visit the treasures of the Georgian National Art Museum. Breakfast. Sightseeing drive to the ancient capital and religious center of Georgia – Mtskheta. Its historical sites include the 6th c. Jvari church and the 11th c. Svetitskhoveli Cathedral where the Robe of Christ is buried. Both are UNESCO World Heritage Sites. Gori town is the heart of the Kartli region, and the birthplace of Joseph Stalin. This afternoon includes a drive to Uplistsikhe Cave Town dating from the 1st millennium BC with its curious dwelling quarters, wine-cellars, bakeries and Basilica Church. Return to Tbilisi. Sightseeing drive to Kakheti region, well known for its wine production. 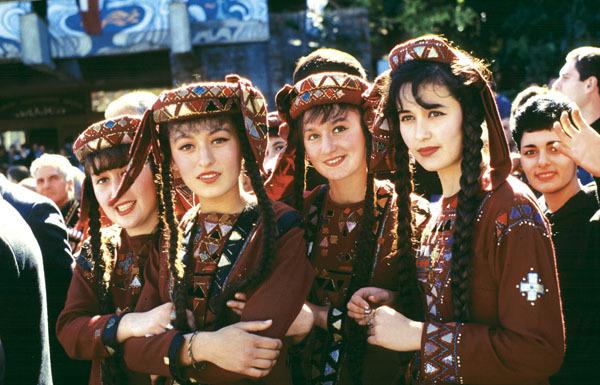 Enjoy the beauty of the breathtaking Caucasus Mountains and the valleys of Kakheti. Learn more about the regional cultures, taste the wines and delicious local cuisine. Visit the fortified town of Sighnaghi and the surrounding villages and enjoy the warm hospitality of local farmers. Learn about the traditional methods of wine making at a 300 year-old wine-cellar. Drive to Telavi, the administrative center of the Kakheti region. Accommodation. Today's highlights include the Tsinandali gardens and house museum of a 19th century Kakhetian Duke. One of the most magnificent regions of Georgia, Kakheti is a dream destination for hikers. You will have an opportunity for a 2 hour hike before a sightseeing drive to Nekresi Monastery (4th century). Visit the Telavi Farmers' Market and King Erekle's Palace Museum. Early morning breakfast . Transfer and formalities at Lagodekhi, on the Azerbaijan border. Scenic drive to Sheki through a picturesque mountain region rich in narrow gorges, green valleys, crystal clear rivers, water falls and mineral springs all framed by dense woods and alpine meadows. Accommodation at the historic Sheki Caravanserai. Visit the Khan's Palace, the Museum of History of Sheki and stained glass shebeke. Breakfast. 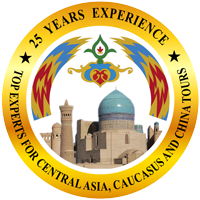 This morning its off to Baku, stopping at the Diri Baba Mausoleum in Maraza, the ruins of the Yeddi Gumbaz mausoleum, and the Cuma Mosque in Shamakha. Arrival in Baku and accommodation. Old Baku sightseeing tour: 15th c. Shirvan Shah's Palace, 12th c. Maiden Tower, and a merchant's caravansarai this morning. Afternoon visit to the Absheron peninsula, Zoroastrian Temple, and the Merdakan Fortresses. Learn about the importance of the oil industry of Azerbaijan and visit the flaming mountainside of Yanar Dag . Dinner. Today we will explore the UNESCO World Heritage Site of Gobustan. Here ancient petroglyphs are carved on large boulders on a grand scale. An archaeological treasure, the ancient sites and relics here date to over 40,000 years, just after the last Ice Age. Dinner back at the hotel in Baku. 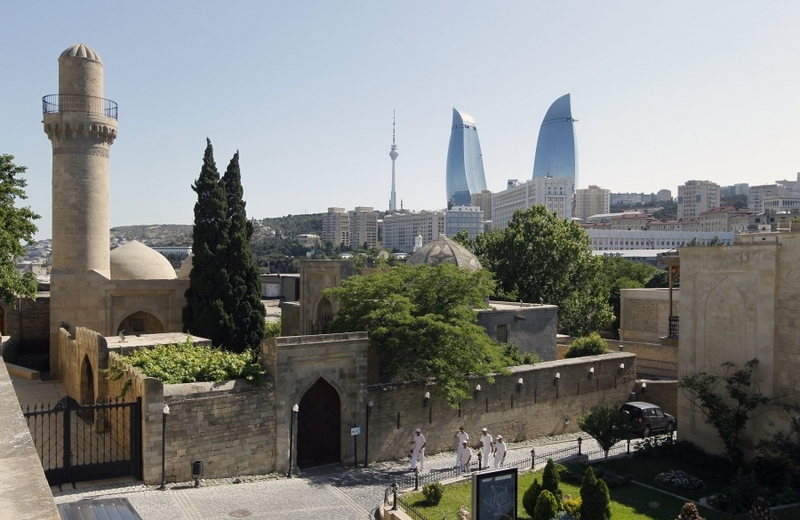 Enjoy the last day of your Caucasus Tour by visiting the bazaars, handicraft centers and parks of Baku. Shop and enjoy the local cuisine and culture. Savor Georgian wines and Armenian brandies in a land known for thousands of years of viticulture.